The annual Christmas Bazaar will be held on Saturday 7th December 2019. 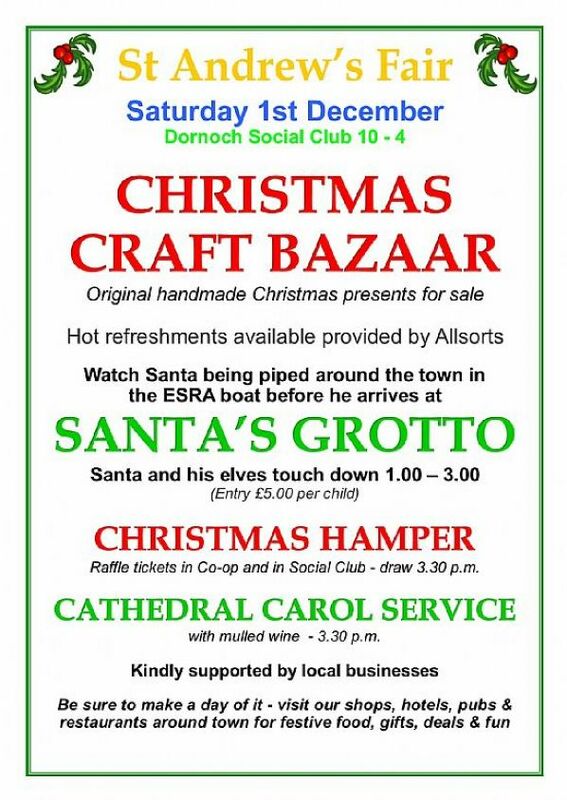 All the shops and restaurants take part in this event and Dornoch has a real Christmas buzz. 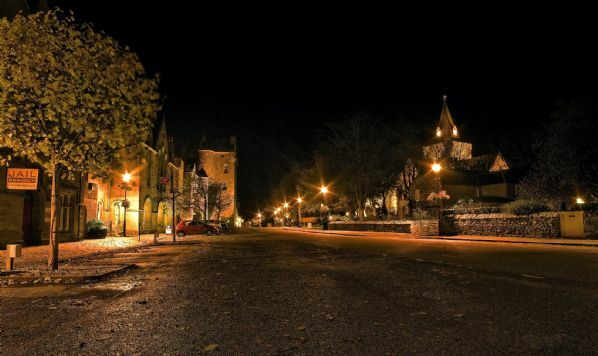 The Christmas lights go on for the first time, Santa is in his grotto and there are craft stalls to complement the local shops for those special Christmas gifts. The Social Club on School Hill hosts the Christmas Bazaar from 10am - 4 pm with craft stalls full of Christmas gifts for all the family. Bacon rolls, home baking, tea, coffee and home made soup are available all day. Santa arrives at 1pm and is in his grotto until 3pm. Throughout the town you can buy raffle tickets to have a chance of winning a Christmas Hamper (with goods donated by local businesses). Shops will have special offers and tastings, seasonal food and drink to get you in the festive spirit. There is a Carol Service in the Cathedral at 3:30pm followed by mulled wine and mince pies. Last year's programme is below.